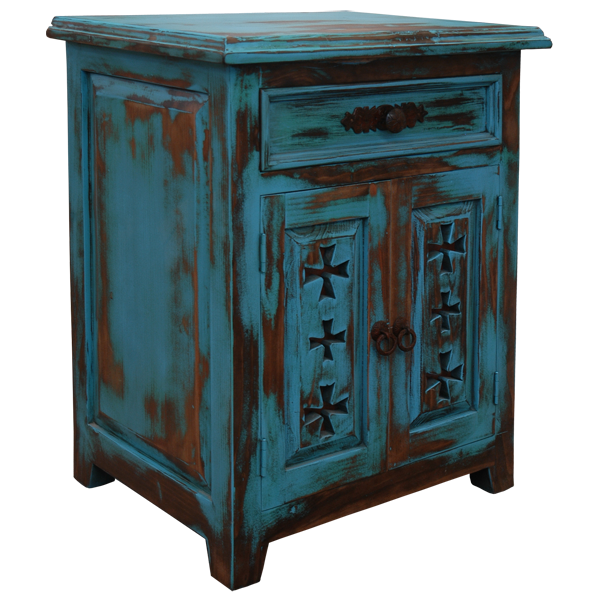 With its antique, turquoise finish and lovely, Spanish colonial details, this handcrafted end table will be a perfect addition to your Western décor. 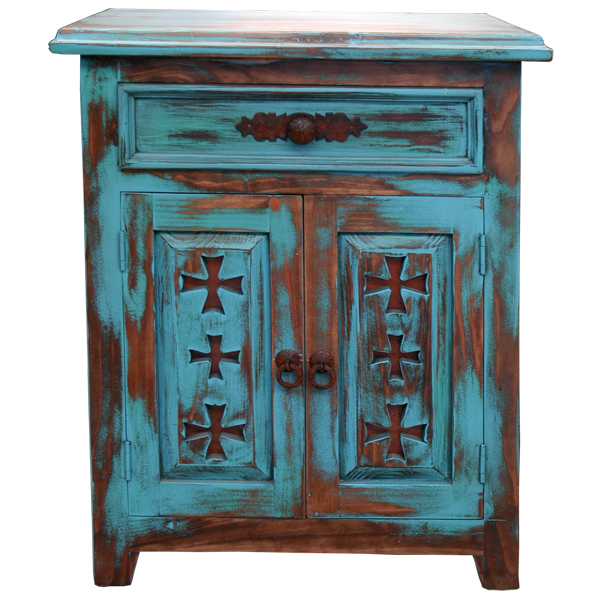 The front of the end table features two rectangular, cabinet doors, and each door panel is adorned with three, hand carved, Spanish colonial style crosses. Also, each cabinet door is embellished with a hand forged, black, pull handle. The end table has a wide top with a beautiful top rim, and the open top can be used as an additional work area. Directly above the cabinet doors is a rectangular drawer with a hand forged, black, pull handle. This custom furniture is embellished with a decorative, wood panel on each side, and the end table is supported by simple, straight, wood feet. The durable, end table is made with the best, sustainable, solid wood available, and it is 100% customizable.